Richard Semon was a German evolutionary biologist who wrote, during the first decade of the twentieth century, two fascinating analyses of the workings of human memory which were ahead of their time. Although these have been virtually unknown to modern researchers, Semon's work has been rediscovered during the past two decades and has begun to have an influence on the field. 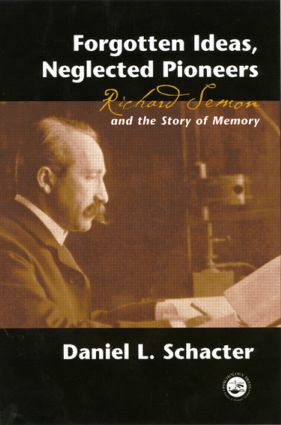 This book not only examines Semon's contribution to memory research, but also tells the story of an extraordinary life set against the background of a turbulent period in European history and major developments in science and evolutionary theory. The resulting book is an engaging blend of biographical, historical and psychological material.